Will Todisco and Maja Miletich leading their kids in a game of "Stone Face," a game where they have make one of the kids laugh. Will Todisco guiding his kids through an exercise where they have to pretend to be animals without talking. Todisco and Miletich guiding their class through the game "Category"
Kids on the autism spectrum often have difficulty interacting with others. But what if they were put in an environment where encouraged interaction in unconventional ways. Like say... improv? 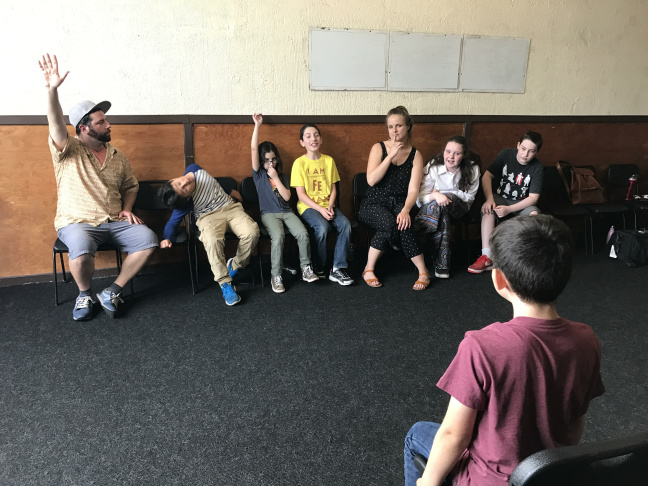 That's the mission behind Zip Zap Zop Enrichment, an organization that holds improv workshops to help kids with autism learn how to open up to -and entertain- their peers. The classes are held The Second City, a building known for hosting plenty of comedy. It all started when program founder Maja Miletich came to The Second City with hopes of furthering her budding acting career. "Through that process, I was also taking early childhood education classes," Miletich said. 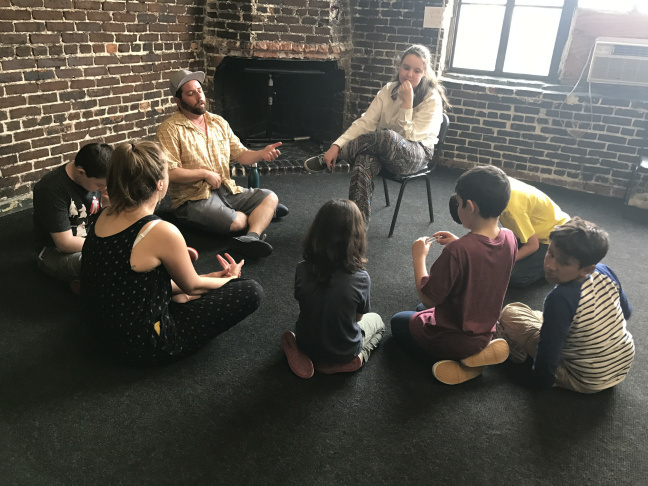 "I realized improv was this perfect tool for all children, but specifically kids with special needs." But Miletich also had a personal stake in the idea. "My brother Zack has autism," she said. As she was taking classes at The Second City, "For years he was really kind of trapped inside of his own self." Zack has since grown more communicative. He regularly discusses his politics on his blog. But Miletich says she thinks her Zip Zap Zop workshops would have helped him open up to others earlier. "I think something like improv would have allowed him to naturally connect with peers when he was younger. It would have been great for him." A typical class begins with Miletich and curriculum specialist Will Todisco putting the group through a series of ice breakers. Around the room are signs that 'Do not like it,' 'Like it,' 'Don't know never tried it,' and 'It's Okay.' Todisco calls out things various places and things as the kids rush around the room to the sign that fits their opinion. "This is just a really good nonverbal way for students to see what the other kids are into or not into," Todisco said. "One of the main things with autistic kids is they believe their opinion is the only thing that is there. This is a great way to learn empathy and what others are into like, 'How can you not like Poke´mon?!' "
From there, Todisco and Miletich can transition into a number of other activities. This includes imitating their favorite animal, naming different things within a chosen category and explaining how to do something in the funniest way possible. It all gets the students laughing and having fun, but Miletich insists that her class's sole focus is not just comedy. "You can use specific improv games to help these kids reach goals for the year," Miletich said. "It's not an acting class. It's to help these children become the best versions of themselves." Zip Zap Zop classes have helped kids at many points on the autism spectrum. many of them comfortable at different levels of verbal communication. In the years that she's put on Zip Zap Zop classes, she believes that her work complements traditional autism therapies well. 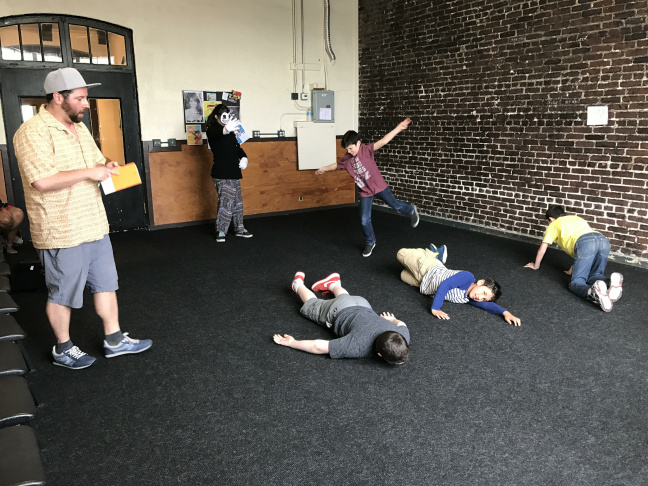 "Improv is just a fun way to adds to what they're learning in these therapies and what they're doing in school," Miletich said. "Just making your friends laugh can be a huge benefit." To continue the conversation on Autism Awareness month, A Martinez spoke with Kate Movius. She's the head of Autism Interaction Solutions in Los Angeles. Turns out, she really loves what Zip Zap Zop brings to autism therapies. I think it's wonderful. I think the more opportunities we have in the autism community to welcome our kids with perhaps slight differences, perhaps greater differences, the better. To find out more about Zip Zap Zop Enrichment and to sign up for their next class on May 13, visit their website. Facebook's identity crisis: is the social media platform a publisher or not? Tuesday Reviewsday: Kendrick Lamar and DAMN.